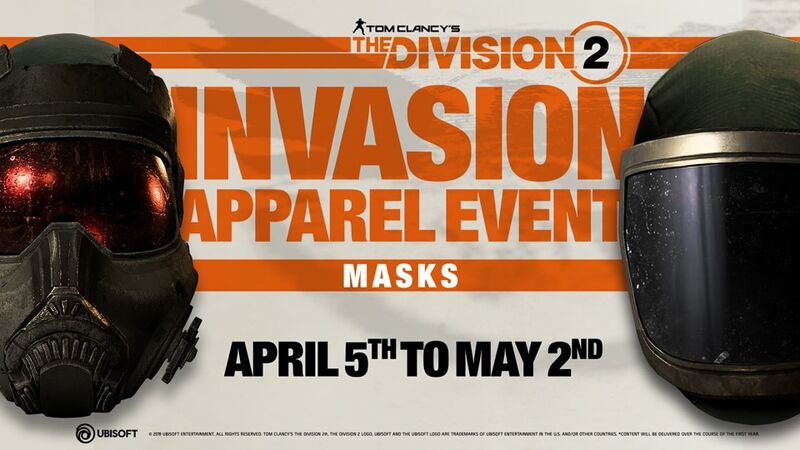 Alongside the release of The Division 2’s Title Update 2, the first and same-named Apparel Event: Invasion has been launched with a collection of new unique vanity items. Apparel Events offer players an opportunity to earn new cosmetic items through time-limited Apparel Caches. Invasion consists of a set of 30 new appearance items to unlock! Please find more details about the three event phases at the end of this article. The Invasion Cache pool consists of the following rewards, including Face Masks, Weapon Skins and Emotes. Furthermore, bonus items can be unlocked by completing other outfits or collecting all the items available in the pool. 3 outfits inspired by the factions roaming Washington, D.C.
1 extra Face Mask; earned for completing the three Invasion outfits. A unique Black Tusk inspired uniform, earned for collecting all 30 items in the pool of the Invasion Cache. This reward is only obtainable during the event. All players who log into The Division 2 during the first week of Invasion get one key for free! All Year One Pass holders will earn three additional keys as a bonus, available until Invasion ends! The event is divided into three phases, has started on April 5th and will end on May 2nd. Event Live: April 5th to April 25th; event keys can be earned from the sources listed above. Event Closing: April 25th to May 2nd; any unspent keys should be used now. Keys can still be purchased to complete Apparel Sets. Post Event: May 2nd onward. All items from the Event Cache are moved into the standard Apparel Caches to earn through gameplay, as well as put on the Apparel Store for direct purchase, with an exception for the Black Tusk uniform. 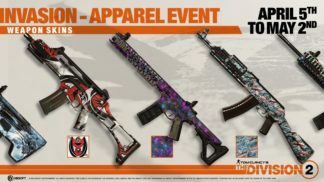 More detailed information about Apparel Events. 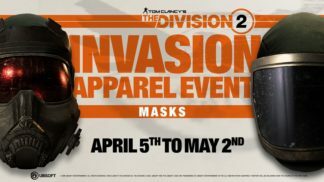 The post The Division 2 Apparel Event #1: Invasion incl. 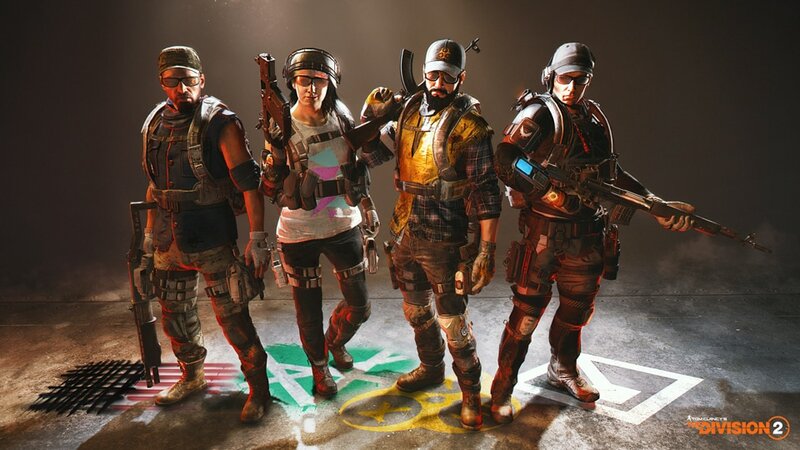 Masks, Skins & Emotes appeared first on The Division Zone.